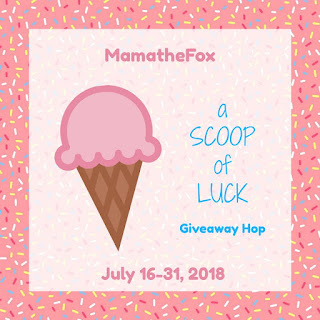 Simply Nerdy Mom: SomaSole Bundle Giveaway! 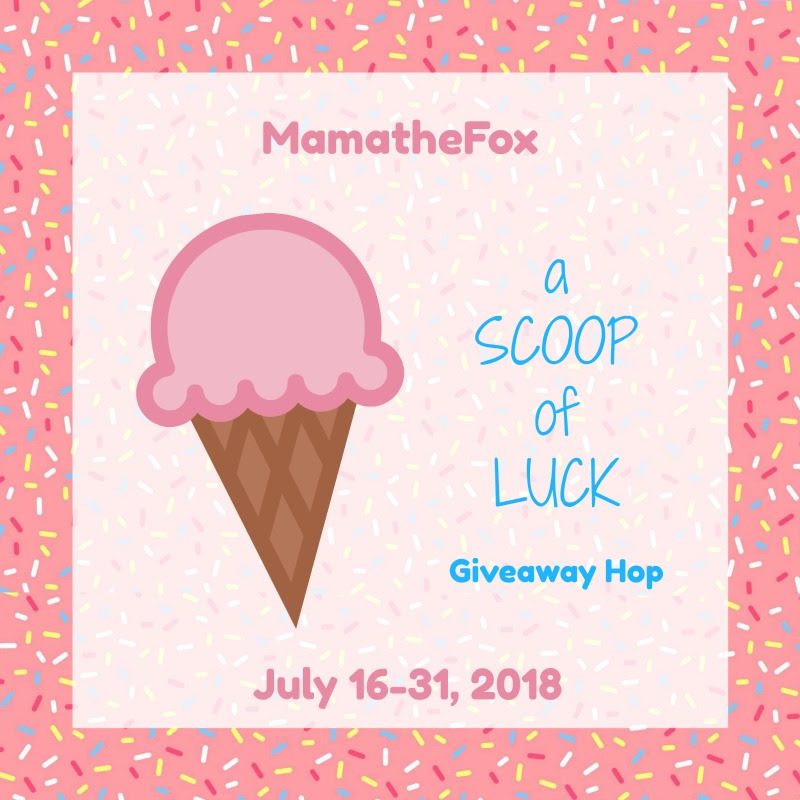 I am excited to partner with many other amazing bloggers for the Scoop of Luck Giveaway Hop this month, hosted by MamatheFox! After you enter to win this awesome SomaSole Bundle valued at $70, scroll to the bottom and check out all the other great giveaways! The following giveaway has been sponsored by SomaSole and Finesse Fitness. I became a fitness fiend after I had my son 6 years ago. I wanted to get back to as close to prebaby weight as possible and I've reached that goal long ago, but I became such a lover of fitness and healthy lifestyle that it's apart of my every day life. I literally have fitness gear in every corner of my home. This is because I much prefer working out at home than to a gym, and SomaSole as well as Finesse Fitness are right up your alley if you workout at home like I do. If you are familiar with resistance bands, you know they are an accident waiting to happen. Just simply standing on the band is not enough because you know at any moment it could slip and smack you (or anyone around you) in the face, and I'm here to tell you that it definitely doesn't feel great when you do it. It seriously hurts. So what is SomaSole and how are they different? SomaSole™ enables the user to anchor the Link, an amazing resistance band, to the feet by carabiner attachment or running the Link through the anchor point. The ability to connect the link to the body allows the user to work gym-similar, as well as SomaSole specific, stretching, strength building and dynamic exercises, anywhere, anytime. The design of the system is attractive, sleek and comfortable while keeping its primary focus on user safety at the forefront. No longer will a band-user stand on a band and pray it doesn't slip out from underneath them or feel limited in movement by its lack of security. SomaSole is the safest, most dynamic way to do resistance training. The Link is the future of resistance bands. With a physical makeup unlike any other exercise band on the market, the Link™ is truly one of a kind. The width and thickness of the Link , along with the anti-snap exterior, makes using it comfortable to the skin. No longer will you feel like you are using a strip of medical tubing to exercise; the Link™ is a high quality, trustworthy, attractive piece of exercise equipment. Once you get one of your own, you will never leave home without it. 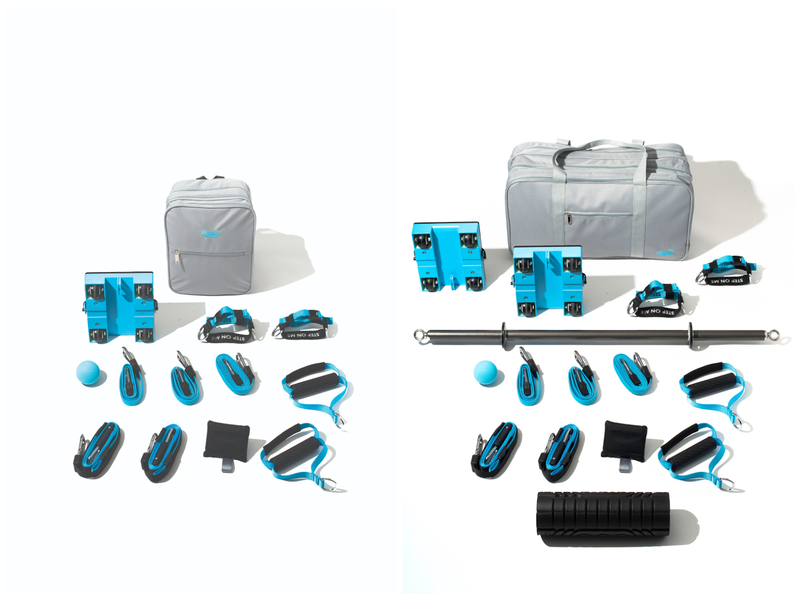 Finesse Fitness has introduced their line of portable, total body workout bundles housed in either a custom-designed backpack or duffel. Built to fit anyone’s lifestyle or fitness level, the bundles consist of meticulously designed equipment created with high-quality and durable materials. To provide the full workout experience, Finesse Fitness bundles come with a mobile app platform where users can download or stream workouts, connect with their trainer, plan workouts, and give and receive support from the community. A Kickstarter launched at https://kck.st/2KgSUGv with super early bird specials of $149 as well as including three (3) 30-minute* shoot-around sessions with NBA legend, Metta World Peace. Now you can win a SomaSole Bundle to get you started! 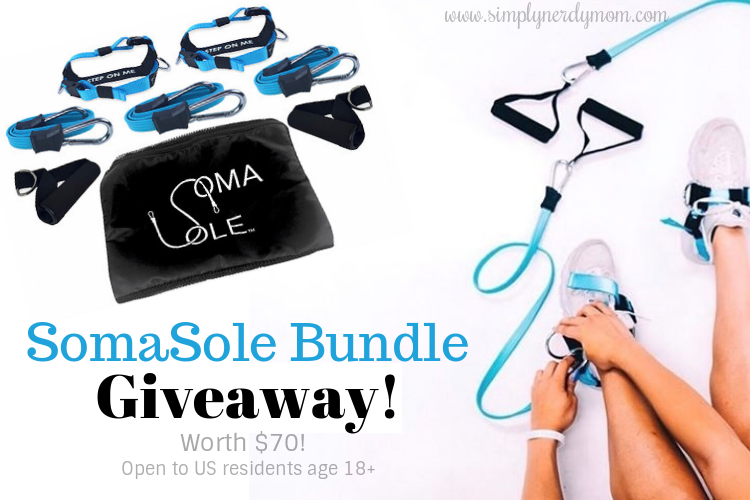 One winner will receive a SomaSole Resistance Band Bundle worth $70.